Entries categorized "Conferences & events"
On November 6th, the IsraelWebTour kick soff when 15 CEO's from some of Israels hottest start-ups will arrive in the US to meet with Silicon Valley's brightest startups and innovators. Considering how much hum and buzz there is in the Valley these days it is nice to get some fresh perspective from abroad and link the two together. 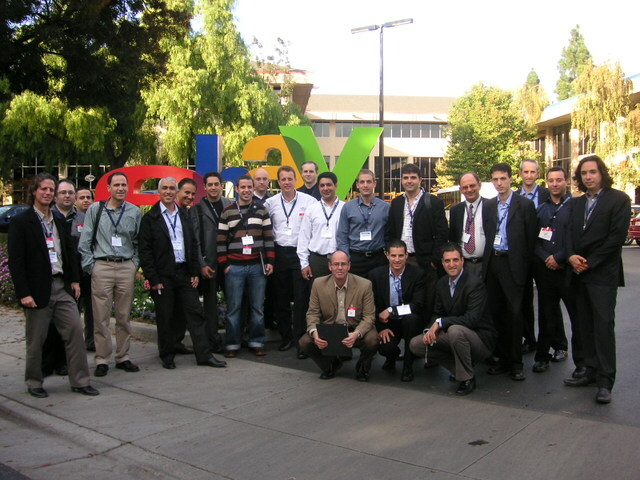 The Tour includes a number of private meetings with Google, Yahoo, Flickr, MSN, and Adobe and others, including the very popular Mike Moritz from Sequoia and Alex Kazim the president of Skype. As a member of the Steering Committee, I am very thankful to all the great companies and individuals who literally jumped (and I do mean jumped) at the chance to sponsor the event and host one-on-one meetings. This is an amazing opportunity for these start-ups. I am also excited to sit down with with my friends and colleagues, Caterina Fake, co-founder of Flickr and Anil Dash, VP of Evangelism at Six Apart for a panel on Buzz, Evangelism and Community Marketing that Yahoo is graciously hosting. If you want to see why the big guys are lining up to meet these companies, you can Register for the Showcase which will be hosted by MIke Arrington on November 7th. There will also be a few headline speakers to give their perspective on global innovation. If you are a corporate communications and/or marketing professional in the Bay Area wrestling with the concepts of Social Media, I strongly recommend attending the Social Media Club's interactive workshop, From Social media to Corporate Media. 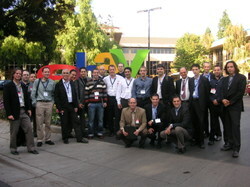 The event is this Monday in from 1-6PM at SAP's offices in Palo Alto. I'll be there participating in the fun and digging into how the rhymes are subtle yet different today. I look forward to sharing some wisdom and gaining some wisdom. One Web Day is just a few days away - this Friday 9/22. 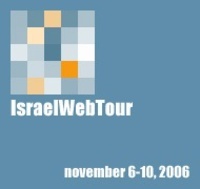 The mission of OneWebDay is to create, maintain, advance, and promote a global day to celebrate online life: September 22, 2006. As luck will have it, I will be back in NYC that day - and will join in the in-person event taking place in in The Battery. Speakers include: Speakers will include Craig Newmark (craigslist), Scott Heiferman (Meetup), Drew Schutte (WIRED), Gale Brewer (NYC City Council), and others. The Office 2.0 conference is almost sold out - so if you are planning to attend - sign-up now. The conference will be an interesting exploration of how to apply Social Software/Web 2.0 tools in the enterprise. I foresee some great debates on "why" and "how" to integrate collaborative technologies in the enterprise environment. I am particularly looking forward to speaking on the Managing Blogs & Wikis in the Enterprise panel, moderated by the awesome Elisa Camahort co-founder of Blogher and fellow panelists - Lee Buck CTO of Near-time, Mike Cannon-Brookes, CEO at Atlassian, Vassil Mladjov, CEO of Blogtronix and Matt Mullenweg (akaphotomatt) of Automattic/Wordpress fame. Direct to you from the VideoontheNet conference - some random notes - no pearls of wisdom just quotes. OK - My thoughts in [brackets]. What is the killer app for video - is it limited to an event? shared emotional experience? Runner up: "we do not charge advertisers enough for ads on the net"
As I have done for the past three years, I am acting as Kevin Werbach's 'eyes and ears' in the physical and digital hallways of Supernova. "I put together the first Supernova conference three years ago because, to paraphrase Bob Dylan, we all knew something was happening here, but we didn’t know what it was. My conviction was that underneath all the changes - business becoming increasingly distributed, users becoming more knowledgeable, old industry models collapsing, and everything and everybody becoming networked - is one fundamental phenomenon: decentralization. At Supernova, we bring together business, government, and technology thought leaders to understand how decentralization and pervasive connectivity are changing our world." I will be looking out for cool quotes from the IRC, panelists, attendees etc. All links will be summarized over at the Supernova blog. I am also roaming the halls with David Weinberger to gather some cool video and with John Furrier's crew from podtech.net for podcasts. Catch em all on the Media Center section of the Supernova website.